Bluestone pavers are natural rock formations that are caused by volcanic eruption. These stones are dense and these are hard enough to be used extensively on outdoor and indoor flooring. The stone comes in different texture, size and color, and this makes it one of the most versatile flooring options. The rock can be cut and shaped according to client’s demand and requirement, enabling it to be used in bathroom, living room, terrace, around swimming pool, garden area etc. 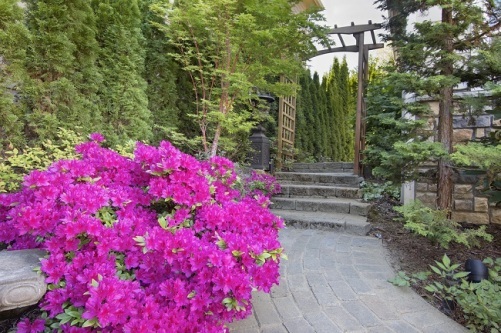 These organic pavers are an eco-friendly way to decorate pave ways at home or in the commercial areas. The rough texture makes it slip resistant and adds more grip while walking over it. These pavers are sturdy and this helps it to withstand normal wear and tear due to daily usage, however, it is not recommended to use where it may get constant heat and water, as it may get its flakes breaking off. The organic rock can be used for decorating the lawn area where these steppers can enhance the natural ambiance and feeling of comfort. These natural stones come in different colors in warmer shades such as in earthly tones, natural browns and cooler blues. This is perhaps one of the most interesting stone where we can think of multiple usage option, choices of color and staying eco-friendly and of durability. People, who look for pavers, generally opt for either natural stone or concrete man made stepping stones, but choosing the right kind of stone for the purpose of use and placement is always to be kept in mind. Manmade concrete structures are cost effective, easily build and sturdy, but bluestones are definitely worth its price as it is versatile and unique. 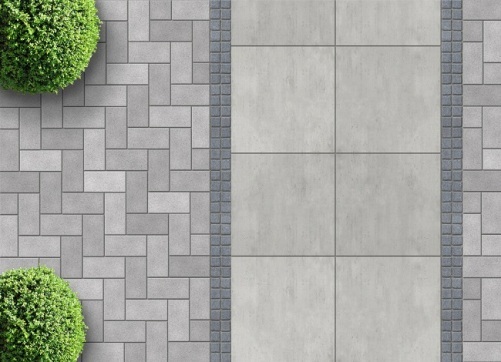 The unique eco-friendly stone has number of usage, which makes it one of the most on demand paver option for people. This natural stone takes hundreds of years to form it and evolves with natural components, texture and shapes. Bluestone pavers are made of basalt, a well-known feature of Australia. The optimum quality, impressive scratch resistant and slip resistant feature, easily attracts customers to go for it. The durability of the stone is quite high and this is also a major reason why these can be used outdoors as walkways, stepping stones, landscaping, featuring wall décor, capping stones, tiles etc. the sophisticated look and hardwearing also makes it among the first choice list in commercial projects. The pieces of stones are unique and come with no match, which puts imaginations and trends together for beautification of a place. Bluestone pavers are multifunctional, versatile and appealing. These canbe placed in residential and commercial areas without any worry of breakage and wear ability. Comes in various texture and shades of color from warmer to cooler, depending upon how deep the stones were found in the place of origin. These are slip and scratch resistant and this makes it perfect for usage around pools, kitchen, bathroom, terrace, garden and outdoor. These pavers can easily be installed and can be decorated with square and rectangular shapes. They are natural stone, and so these are comfortable to walk over and add more of nature into the premises. These stones are porous in nature and retain water, which can eventually lead to damage and wearing away flakes in long run. Therefore, porous sealers are recommended to be installed to protect it. 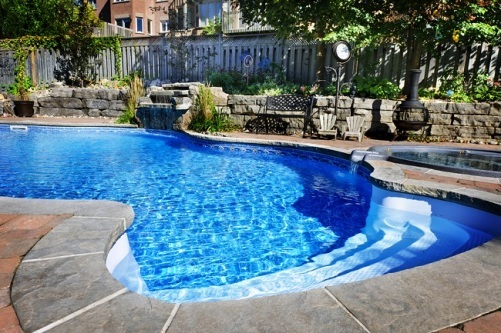 These stones are quite expensive and may get affected with chlorine water and harsh sunlight near pool side. Therefore, it is not advisable to use it adjoining the water place.